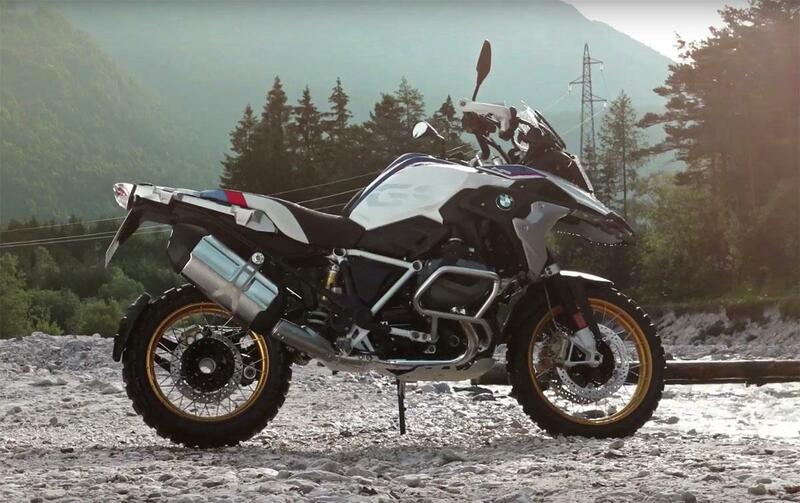 BMW have unveiled full details of their incoming R1250GS after a video explaining the new engine and including images of the bike itself was leaked online last week. The new GS will have a larger 1254cc engine making 134bhp and 92 ft-lb of torque. The engine will also feature new ShiftCam technology, which uses a shift gate to move the camshaft sideways in the head, changing between two different cam profiles depending on the position of the throttle. This has improved the power spread across the rev range and fuel efficiency, but the tech doesn’t end there. The 1250 also has a clever self-adjusting oil intake, a new 6.5” full colour TFT dash and an all-new engine management system called BMS-O. This system is similar to some variable valve timing systems we’ve seen in the past. Ducati use a system on the Testastretta engine that advances and retards the cam timing to alter valve overlap to similar effect. The cam profile stays the same in the Ducati but a hydraulic cam phase adjuster at the end of the cam shaft shifts the timing slightly to give more torque at lower revs without sacrificing power at the top end. Honda’s VTEC system is closer to the BMW but that closed off valves completely. At low RPM half of the cam lobes didn’t rotate with the shaft, meaning two valves per cylinder didn’t open. At a higher RPM engine oil pressure pushed a locking pin into place that activated the remaining valves. The BMW is different in that both cam profiles are fixed to the same shaft which maintains a constant relationship with the crank. The whole shaft is moved laterally by an actuator. The valves themselves are also asymmetric (one opens and closes slightly ahead of the other) creating a swirl of fuel and air which burns more cleanly. It’s not just the GS which is getting updated, the BMW R1250RT will get the same engine, a mild facelift and Dynamic ESA with ‘fully automatic load compensation’. There’s no word on price yet, but we expect the GS to cost around £14.5k.